Hammocks, West Kendall, Miami-Dade County, Florida, March 30, 2008. 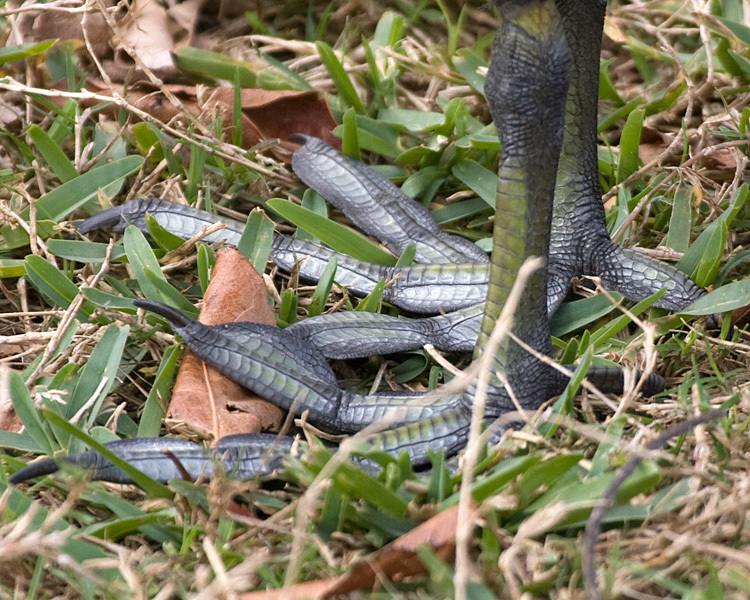 This is a close-up of an American Coot's feet. Unlike a duck (or goose or swan), a coot has lobed feet, not webbed feet.